The Weinig Group was founded in 1905 in Germany, and after a period of dormancy was later rebuilt at the end of the second world war when it became the first company in its sector to introduce series production. Its headquarters is now located in Tauberbischofsheim, Germany with 30 different subsidiaries and branches throughout Europe, America, Asia, and Australia. A moulder is a machine that shapes and cuts wood with special knives, often called profiled cutters. Large moulders are typically configured with four differnet cutting heads; a common configuration being one cutting head on top, one on the bottom, one on the left side, and one on the right side. With four cutting heads, a moulder can trim all four sides of solid stock simultaneously, creating a product in one hour what would otherwise take us ten hours to complete. Sometimes moulders can be confused with planers, but they are very different for this reason. Moulders almost always serve as a planer. However, planers only cut from the top and do not have the capacity to shape and cut wood - let alone on all four sides. Single (cutting) head moulders have one top, horizontal cutting head only. They are more economical for smaller wood shops or hobbyists, but are much slower than a multi head moulder. Multi (cutting) Head Moulders have more than one cutting head. Often, four cutting heads will be found on this type of moulder. The top and bottom cutting heads are horizontal and hte left and right cutting heads are vertical. 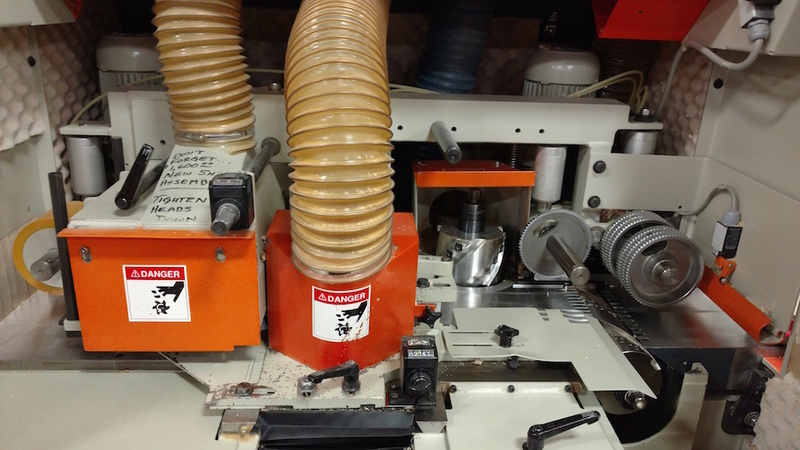 Because of their efficiency, accuracy, and capabilities, these machines are often used in making furniture, and in architectural millwork and casework. 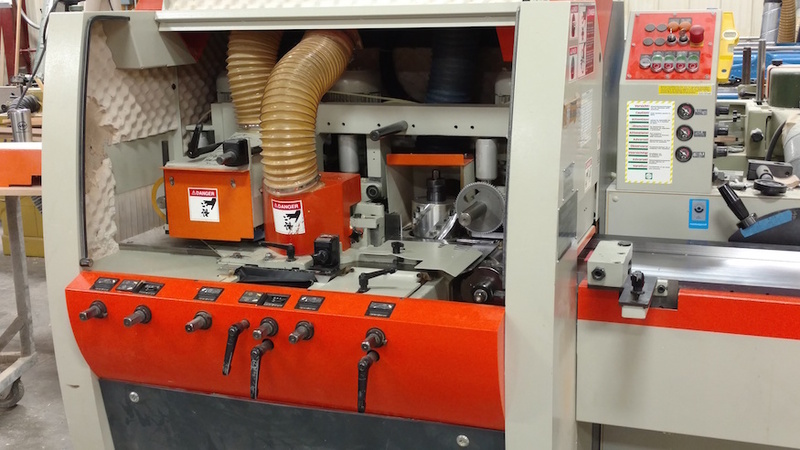 Our Weinig Moulder was purchased new in 2003 from Weining USA. 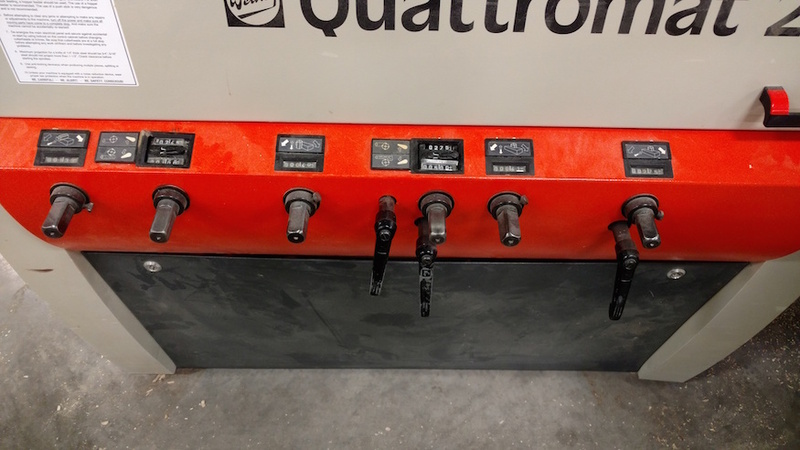 Built in Germany, our Quattromat 23 P is a relatively compact machine that provides extreme convenience, accuracy, and precision in our production of moulding, casing, and paneling. The machine is so relevant in our line of work that almost every piece of solid stock that goes through our shop is at some point sent through the moulder. 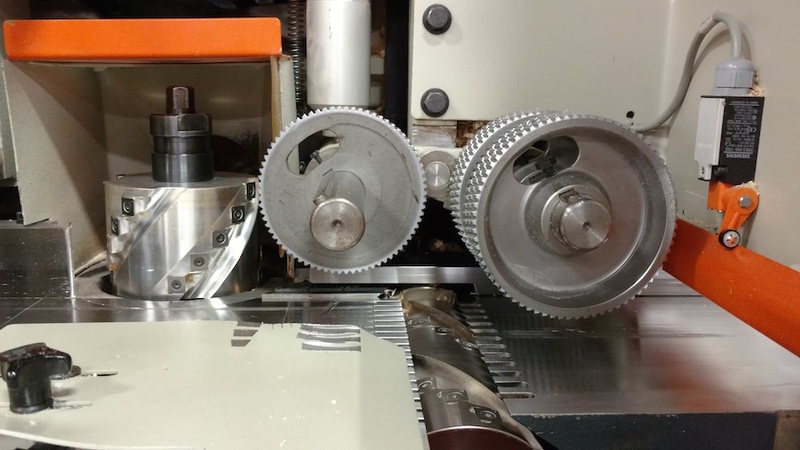 With a feed rate of 8 meters/minute, this machine allows us to run a large amount of material in a relatively short amount of time and has the capacity to run material up to 9 1/4" wide and almost 6" thick. 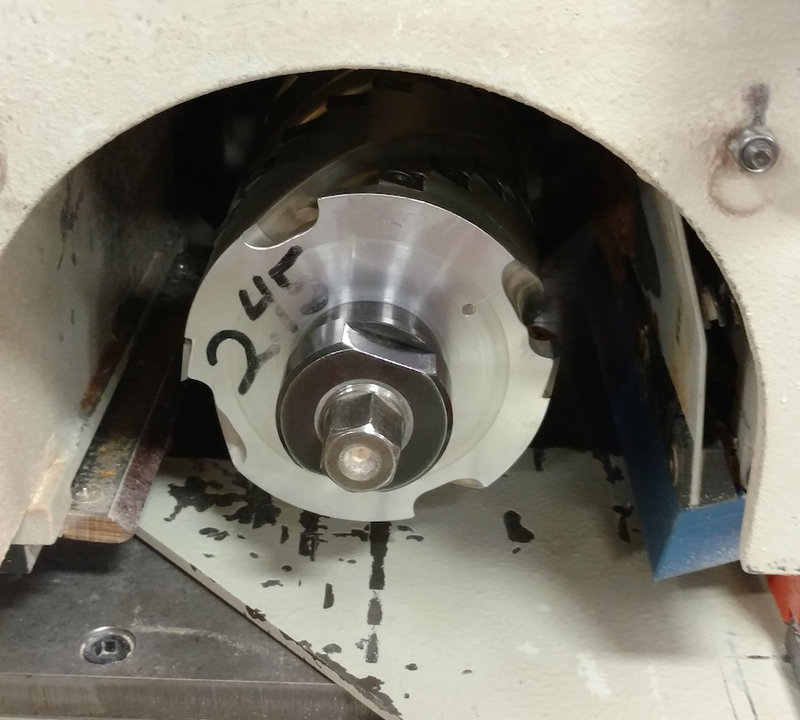 One of the coolest features of our moulder is that it has one central adjustment for the entire machine. As a shop that mainly deals with custom woodworking projects, we rarely use "standard" moulding profiles, or knives. This central adjustment with digital readouts allows for quick, easy, and very accurate setup for custom projects while maintaining maximum safety. Because the adjustment is located on the front of the machine, the operator doesn't need to go anywhere near the cutting heads to set up or make adjustments. Our moulder is a multi head moulder that has two vertical cutting heads and two horizontal heads which can cut, shape, and trim all four sides of the material simultaneously. This, combined with the reduced setup time, minimizes our production time greatly which ultimately helps us to provide custom work at a lower cost to our clients. Want to learn more about the machines that allow us to create such stunning work? Follow D.P. Juza Woods & Fixtures on Facebook for the latest updates.